Is there really such a thing as heaven, where God has "prepared a place for us"? Or does life for us begin and end on planet Earth? Are all those orbs in the seemingly infinite universe just there for us to admire as we gaze up into the night sky? Or is there life on those other worlds? When we die our body remains behind on this planet, but where does the real us-soul, spirit, consciousness-go? Can something so vital one minute disappear into nothingness the next? Some say that we cannot know, that nobody has ever come back to tell us. But is this true? Many believe that angelic beings as well as "the dead" can transmit information to us telepathically via gifted human receivers, and many accounts brought through from "the other side" indicate that the universe is teeming with life. This compilation of three popular books channeled though Anthony Borgia-Life in the World Unseen, More About Life in the World Unseen, and Here and Hereafter-will give you a glimpse of the places we are destined to inhabit when our lives on earth are over. 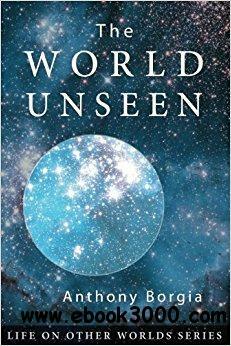 The World Unseen is the first volume in the LIFE ON OTHER WORLDS SERIES, comprising classic accounts of the afterlife, collected from many sources. Descriptions vary, yet a thread of similiarity runs through them all, just as descriptions of life on Earth by a New Yorker, a Tahitian, and an ancient Egyptian would bear likenessess to one another. Would you get on a plane to China without first learning something about the country and its inhabitants? Probably not! Yet most of us do just this when we approach the end of our lives on earth. It is hoped that these books will serve as a travel guide as we embark on our greatest adventure-the journey into the mysterious realm beyond this world, told by those who are already there. Are these accounts true? Only you can judge that for yourself.